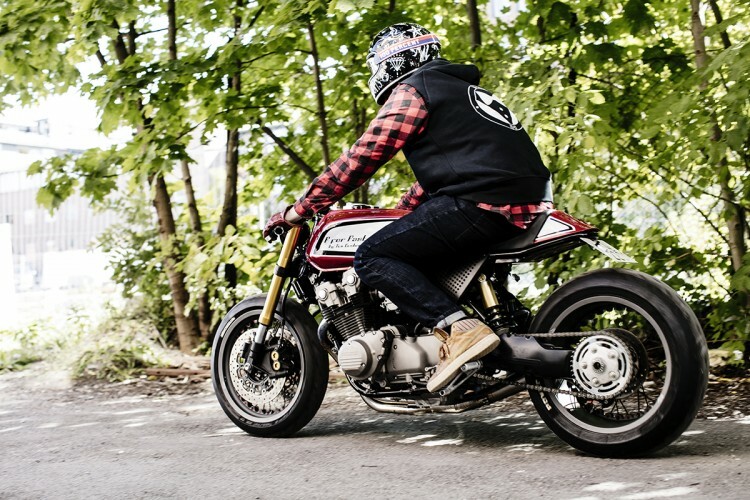 Although I’ve stated that the Honda CB1100 lacks a soul of being a modern cafe racer, it sure has the right ingredients to become one. But in that specific article, I was talking about the model from 2010 and up. 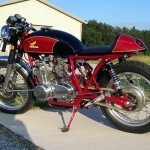 This bike right here is based on the rather rare CB1100F that was only built in 1983. It was based on the CB900F and the CB1100R. 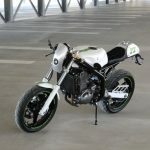 This bike had written ‘speed’ all over it, and with a slightly modified engine (hotter cams, larger pistons, and 4 Keihin 34mm CV racing carburetors) it produced an impressive 108hp and 97Nm of torque (tuned down to 100hp for European markets). 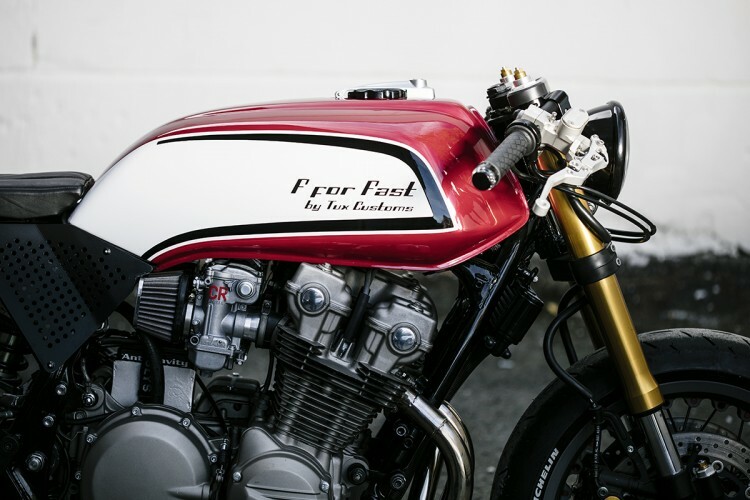 In 1983, Cycle World magazine tested the CB1100F 11.13 seconds/120.48 mph quarter mile and 141 mph half a mile and gave it the label ‘fastest stock bike’. So we’re talking about something special here. 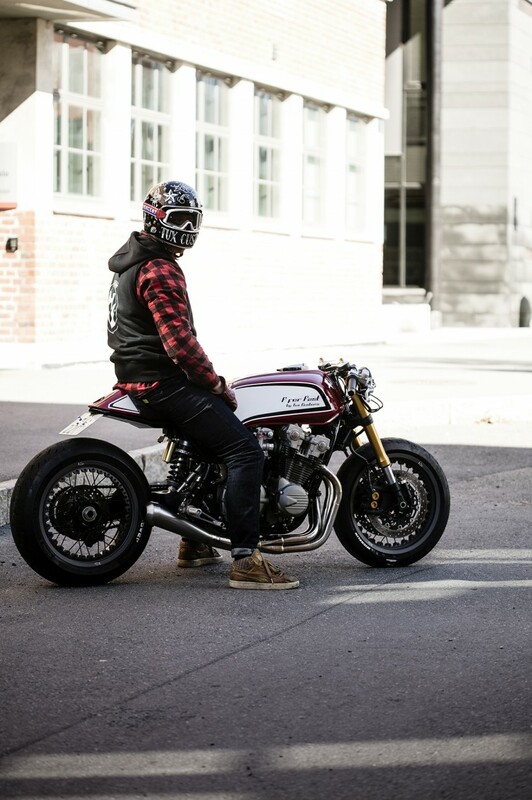 The bike you see right here is built by Tux Customs from Norway. 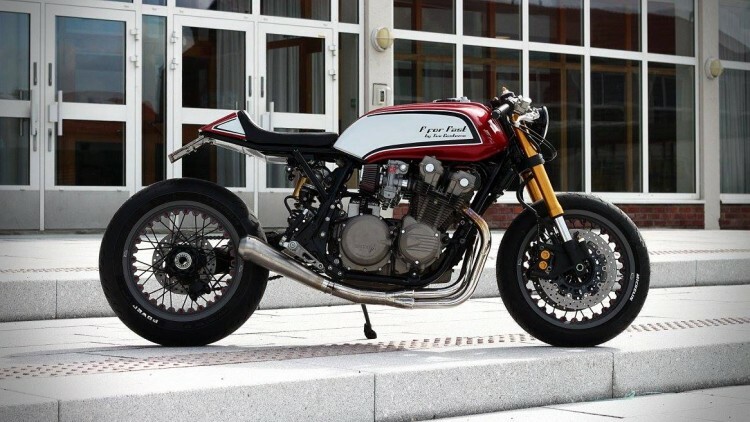 It’s an absolute masterpiece and it deserves a top spot in our Top 10 Best Honda CB Cafe Racers. 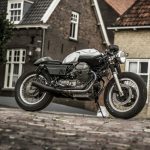 Everything single modification of this bike is done with care and precision and the result is one of the best looking CB’s I’ve seen in a long time. Let me start with the engine modifications. Despite the fact that the original bike has a lot of power and torque, it got some performance upgrades. The head is ported and the cylinders are slightly bored and got a set of new Wiseco Hicomp pistons on Carilli rods, the displacement increased to 1170cc’s. The crankshaft was balanced and the ignition system was replaced by a Dynatek Dyna 200. A custom Vance & Hines exhaust was placed and to give this a bit more air and fuel, a set of Keihin CR carburetors with K&N filters were placed. The complete engine is painted in a beautiful, original looking titanium high-temperature coating. 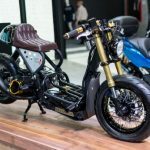 The frame section required some serious modifications to suit the new engine setup and make the bike a fair competitor for modern day machines. The complete front (incl. 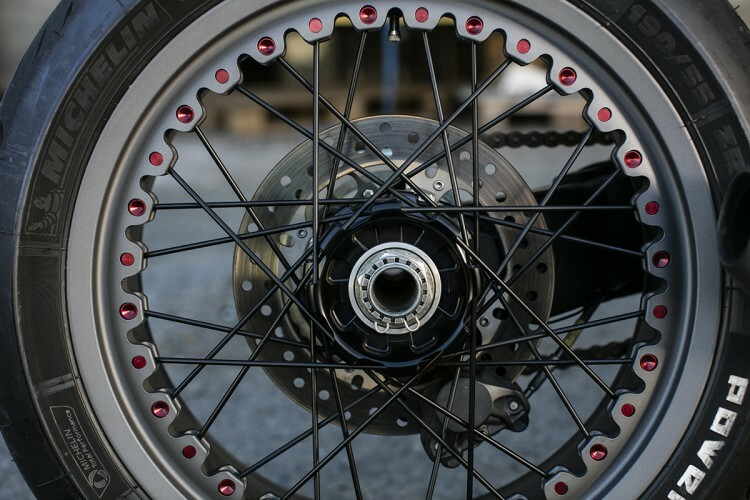 brakes) end comes from a 2008 Yamaha R6 finished with a custom triple tree with an integrated Motogadget Motoscope Pro. 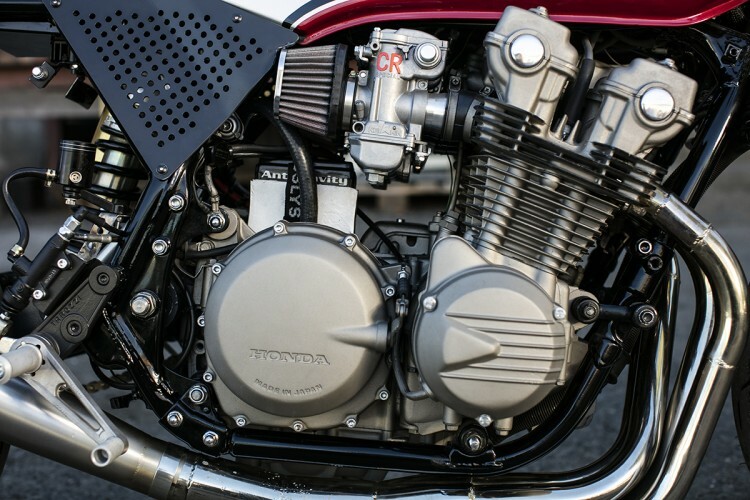 The original gas tank was kept in place and the custom seat was fitted seamlessly on the customized subframe. The original dual shock setup had to make place for a sing shock setup, which comes from a 2005 Ducati Multristrada 1000DS, including its original braking system. The shock itself comes from a Ducati 749. The hand controls are custom CNC’ed pieces and the foot controls come from Tarozzi. 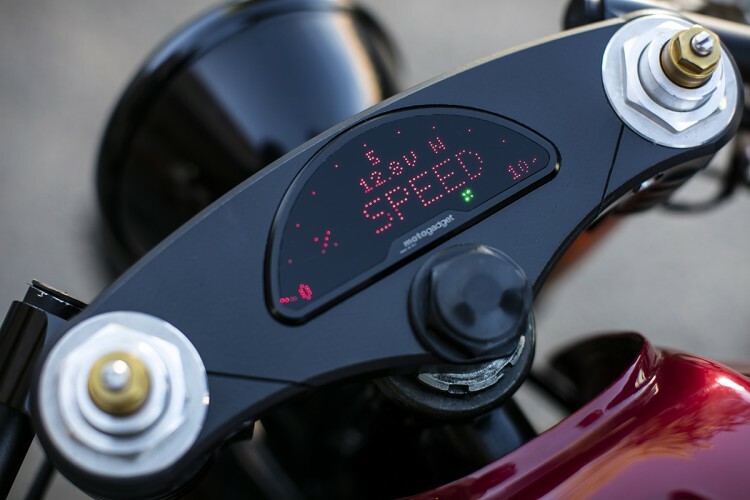 The electrical system is built from the ground up with of course, a MotoGadget M-Unit as the beating heart. Maybe one of the best parts of this build is the beautiful set of custom Kineo wheels. For some serious grip, a set of Michelin Power Cup Evo tires were used (front: 120/70-17, rear: 190/55-17). 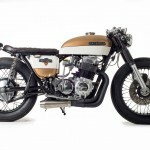 Below the images, you can find a short interview with the builder about the CB1100 Cafe Racer. How did you get the bike? Was it a customer order or was it your idea to completely modify this Honda? This was a customer order which I got from another builder in Norway before it was started, he realized he had no time. And we knew each other a little bit, so he put the customers and me in contact. The customers liked my old builds, and we came to an agreement. 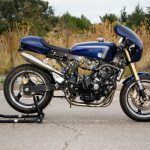 The customers wanted a copy of Classified Moto’s Honda CB 750 Superstrada, which has basically the same front forks and rear swingarm. For me personally, it is not so interesting to only make a copy, so I had to convince them on a different paint scheme and some other different solutions. One of the different solutions was using spoked wheels instead of the original alu wheels. You put a lot of engineering in it. How difficult was it to go with a single side swing arm and how much changes were needed to realize it? 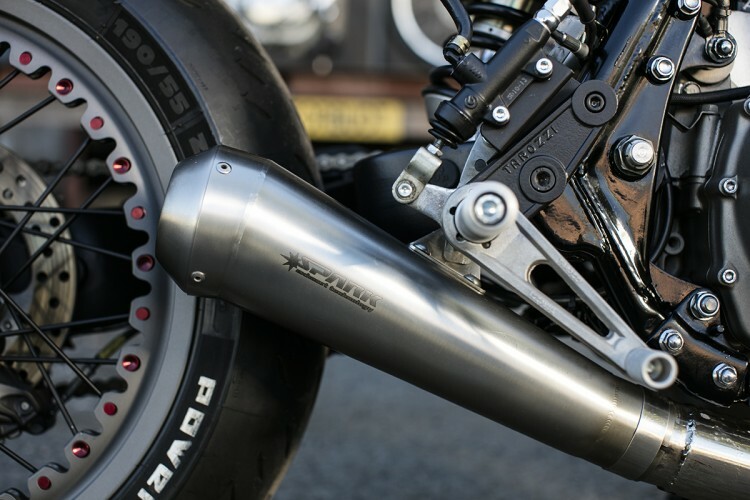 The main parts of the suspension like swingarm, rear shock and fork are from Supersportsbikes. What made you exchange the original parts? 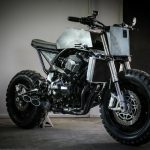 The customers had seen that on the Classified build, and since they wanted to do something with the motor as well it needed upgraded suspension – as well as the looks of these parts on the bike of course. It was very important that we considered that this bike was an 1100cc and not 750cc when choosing forks and swingarm. The Yamaha R6 forks and Ducati 1100 DS swingarm handle this very well. Did you touch the engine to get some more horsepower out of it, and if so, how much does it have now? The engine is totally rebuilt, only the gearbox is left unchanged except for the clutch. The engine has been bored to about 1170ccm, ported intake, crank has been balanced, increased compression to about 12:1, all new bearings and pistons, digital ignition and Keihin CR carbs to top it of. We haven´t completely gotten to run the rebuilt engine in yet, but we made a test run on the dyno bench with no final adjustment to jets in the carbs and the lowest ignition curve – this gave 110hp on the rear wheel. Realistically it will be above 130hp on the rear wheel when fully run in and adjusted. Kineo-Wheels are good looking, but also not know for their light weight? 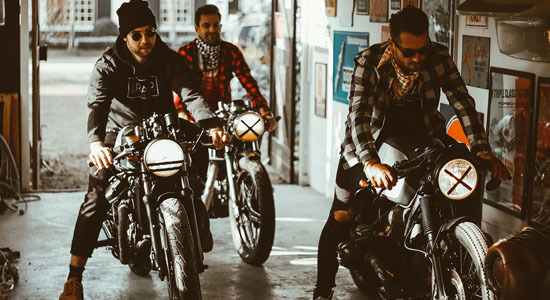 Does it make a difference to the handling of the bike? They are absolutely beautiful to look at, and they are also very light. I changed both the tires and rim at the same time, so it is difficult to say about the difference in handling…. But with the setup with the Michelin Power Cup Evo tires it is very nimble and corners very nice. Beautiful paint job. Who’s idea was it to go for some original colors and scheme? After some convincing of the customers from my side to go for the original paint scheme they finally agreed, and now they are very very happy about it. 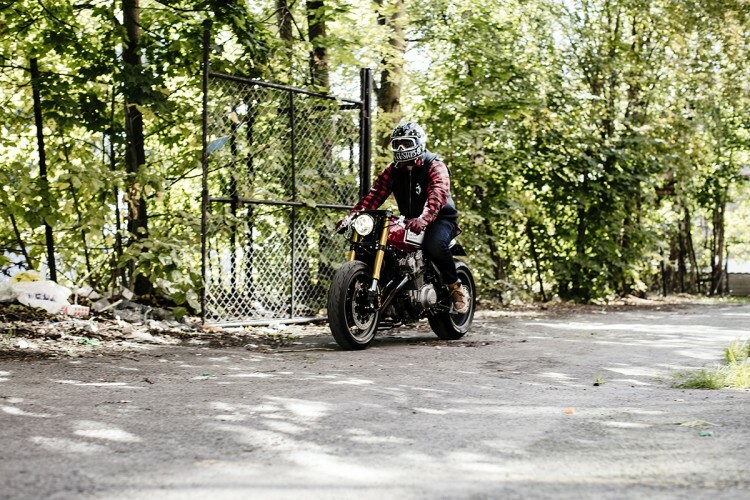 It really makes the bike, and the best thing is that it somehow makes it look a bit old school and stock – but all the parts, like forks and wheels, make it stand out. Last but not least, is this bike road legal? This bike is, of course, road legal, the only thing missing now is a mirror. We haven’t found one that we really think fit the bike perfect yet. In Norway, there is a process with ar equivalent to Germanys TUV where you can apply for a rebuild and then show for final approval when finished.Photo’s by Nicki Twang.